Few songs are as iconic as Joy Division's immortal "Love Will Tear Us Apart." It's just one of those songs that stays with you forever, and all covers I've ever heard are faithful, even if they're more on the emo/pop punk spectrum. Well, New Orleans's Hot 8 Brass Band will change all of that. Of all the "Love Will Tear Us Apart" covers I've heard, I don't believe I've ever heard a brass band rendition. This is a complete and utter reworking of the gothic/post punk classic as a boucy, joyous celebration, so Joy Division purists beware. It's mostly instrumental, and you will definitely recognize the song through just the music. All verses are completely removed from the song, with the only lyrics being the occasional "Love will tear us apart again." It's not what you'd expect, but it's quite fun if you can get into this sort of thing. 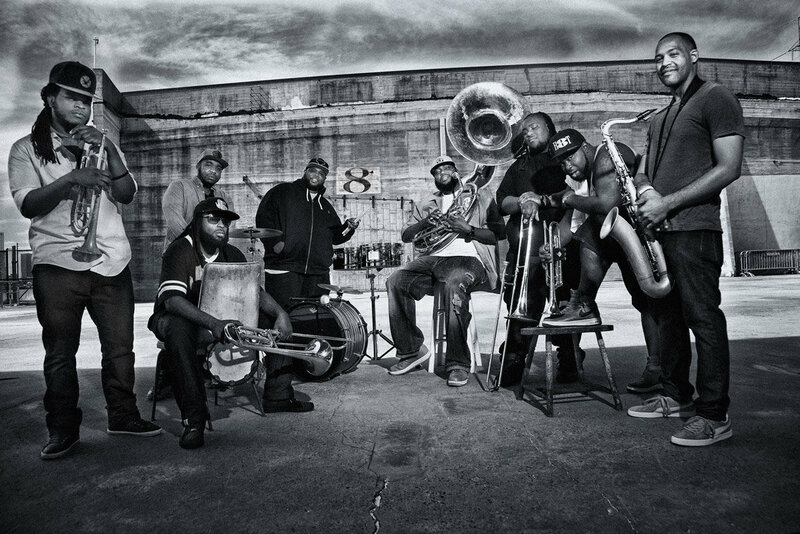 You can listen to Hot 8 Brass Band's version of "Love Will Tear Us Apart" below. It will be included on their upcoming EP, Take Cover, which will also include covers of The Jacksons, George Benson, and Michael Jackson. It will be out on February 22. For more on Hot 8 Brass Band, check out their website.